Taipei office located at the Taiwan World Trade Center visited by hundreds of buyers weekly. 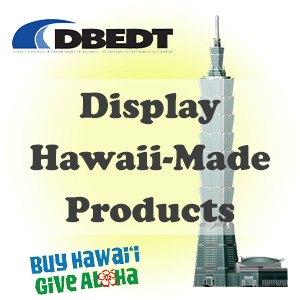 DBEDT Director’s Office display case viewed by local and international executives, officials and business persons. For applicable perishable items, the package/box will suffice. Products will be credited to the manufacturer.